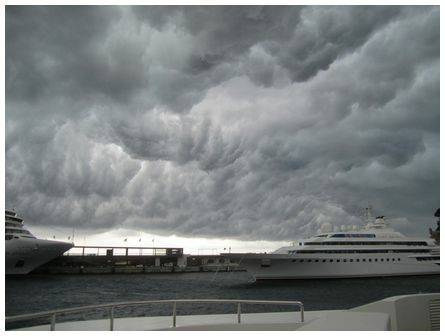 'Mammatus clouds before the arrival of a large thunderstorm in Monaco, France, taken 9 June 2013' wrote Adam. 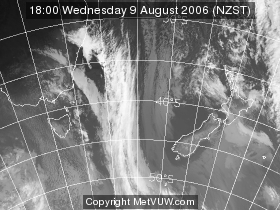 Lawrie wrote 'Kiwifruit Transport Ship 'Wild Peony' traveling North East towards Panama with the sun behind at sunset at 18:55 on 27 May 2013. End of a hot day and an isolated shower has made for an interesting little rainbow. 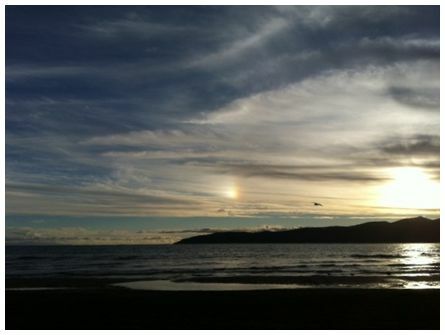 'A sundog over the southern end of Kapiti Island. 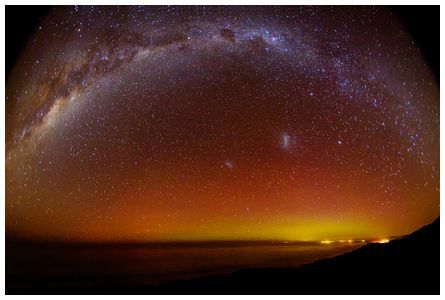 Taken on Sunday 19 May 2013 from Paraparaumu Beach' wrote June. 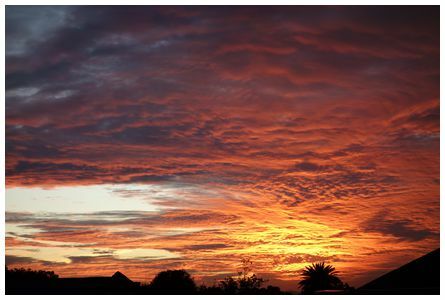 'Beautiful sunset looking west after a fine day in the suburb of Mt Eden Auckland. Taken at 17:30 on 15 May 2013 with a Sony RX100 on auto F4.9 1/100sec' wrote David. 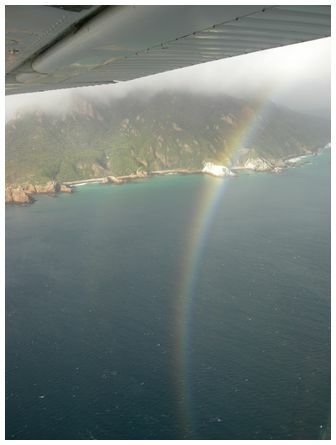 'Flying back to Invercargill from Mason Bay on Stewart Island at 13:00 on 19 May 2013 in a strong and drizzly easterly we were favoured by a full circle rainbow for part of the trip. 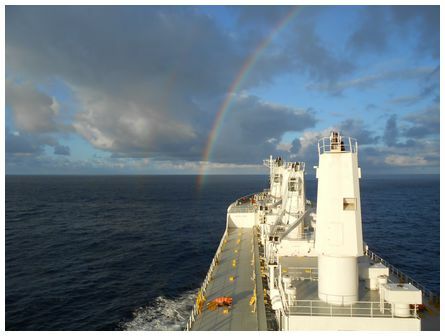 From a terrestrial vantage point we forget that rainbow is a circle, or more correctly, a cone centred on our shadow' wrote Lloyd.